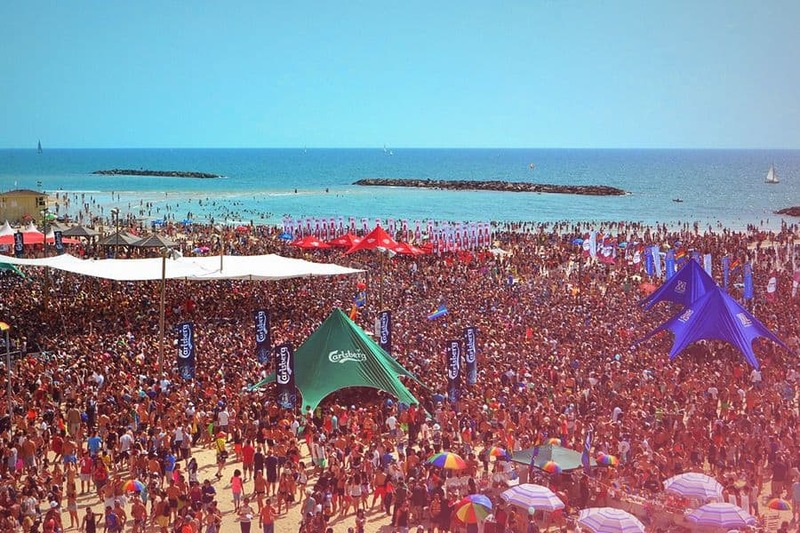 Israel is the spiritual and cultural capital of the three great monotheistic religions. It was taken over by the major empires: Roman, Ottoman and British. It drew the Crusaders from Europe. So much of the history of the last two thousand years passed through this tiny country. It’s one of the great bucket list destinations. If you’ve always wanted to discover it’s cultural and historical legacy, then this is the trip for you. You’ll be travelling in style, visiting all the major sites, staying in top hotels and eating in top restaurants. You’ll also visit the red sands of Petra and Wadi Rum in Jordan. This is a great way to expand your cultural horizons, meet new people and see some of the most iconic places in history. You’ll be transferred from the airport to our 5-star hotel. We’ll have a welcome dinner in the evening and discuss the adventures we have planned. Today we’ll transfer to Jerusalem. From the Mt. of Olives we’ll be greeted with panoramic views. Jerusalem is arguably packed with more sites of historical significance than any other city. 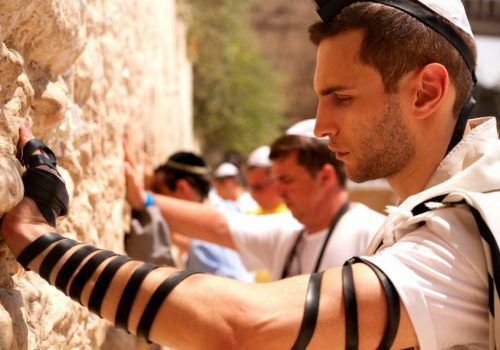 At the Western Wall, we’ll see the only remains of the second temple. It was destroyed by the Romans in 70 C.E. We’ll visit the Dome of the Rock, the third most sacred site in Islam. Today we’ll also visit the supposed Tomb of King David, Via Dolorosa, the Church of the Holy Sepulchre. That’s a lot of history! After lunch in the Old Town, we’ll head to the market where you can try your hand at haggling. Dinner on your own – there are so many great restaurants to explore in Jerusalem. Today we’ll be exploring the new city of Jerusalem. We’ll visit the Holocaust memorial, Yad Vashem, walk the Avenue of the Righteous (if you’re righteous enough) and visit the Knesset (parliament). 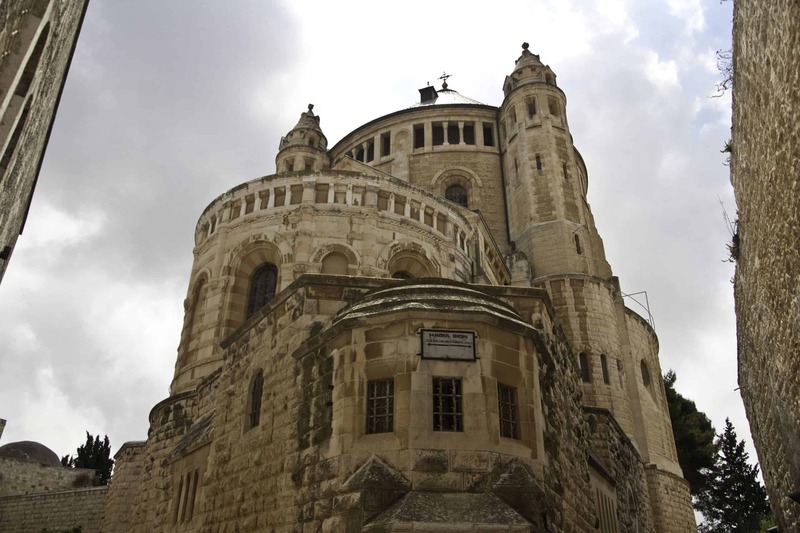 We’ll then head to Bethlehem and visit the Church of the Nativity, built – supposedly – in the place where Jesus was born. Lunch in Bethlehem. Later, we’ll visit the Israel Museum, one of the most fascinating museums in the world. After breakfast, we’ll be heading to the lowest point on earth via the Judean desert: Masada. We’ll ascend by cable car to the last stronghold of the Zealots in their struggle against the Romans. We’ll visit the ancient synagogue and the remains of Herod’s Palace. Lunch at Masada. We’ll be staying in a stunning hotel in the desert and experiencing some famous Bedouin hospitality. Today we’ll be heading to the Wadi Rum desert in Jordan. The red sands make it look like the surface of Mars. It may be familiar, as Lawrence Of Arabia was filmed here. We’ll have lunch with a local family and then drive a 4×4 jeep into the valley. Our hotel is in Petra. The rose-red city of Petra is yours to explore. You can walk or ride a horse along the narrow Siq (passage). 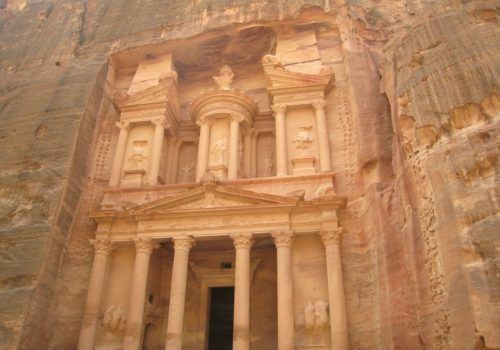 Petra was built from the mountain range in the 3rd century BCE by the Nabateans. It was then lost to the world for a millennium, only to be rediscovered in 1812. On our way to the Dead Sea, we’ll visit Kerak Castle, a stronghold built by the Crusaders in 1140. Saladin besieged the castle in 1184. Lunch on your own. We’ll then check into our hotel by the Dead Sea. It’s time to float weightlessly in the Dead Sea. Its hypersaline waters are cleansing and they allow you to float with ease. We’ll then check out of our hotel and visit St. George Church in Madaba. Our last stop is Mt Neo where Moses apparently saw the Promised Land. We’ll have a farewell dinner at our hotel in Amman.